A new headquarters building for N M Rothschild. 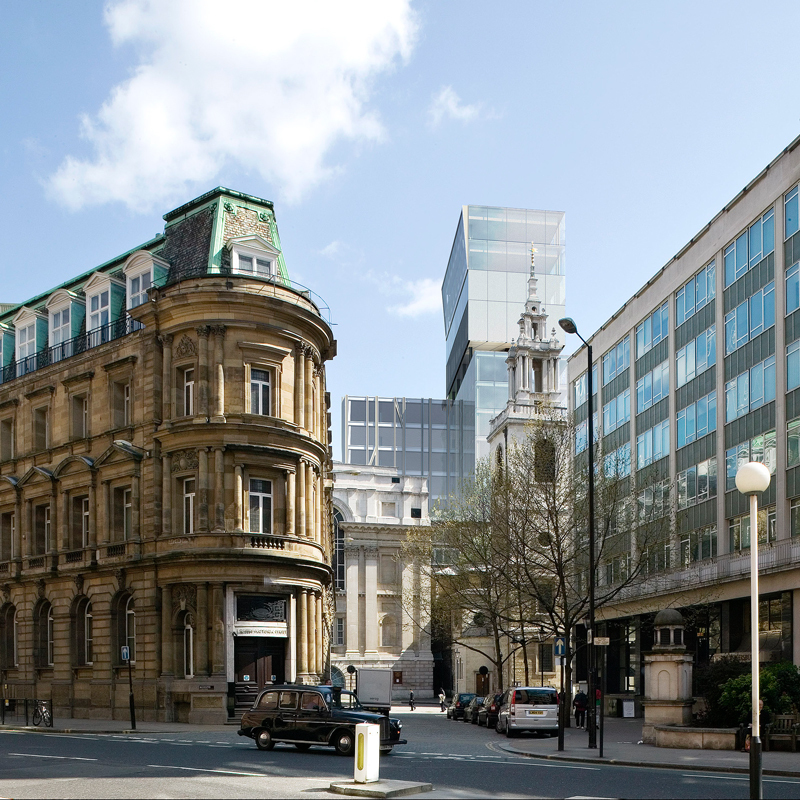 Replacing an existing building in a conservation area but at a larger scale, the new building affects sensitive townscape including the setting of Wren’s church of St Stephen Walbrook. Townscape, Visual Impact and Heritage Assessment.